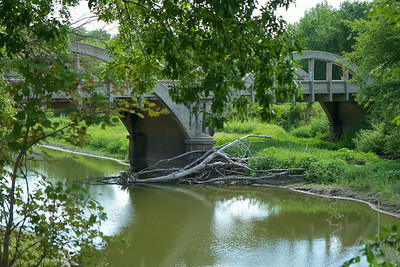 Wooden Bridge I found driving around in Iowa. 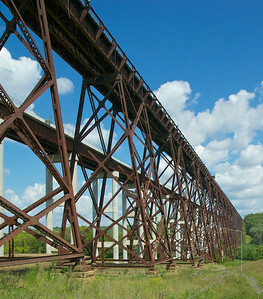 For a long time, this 185' high, quarter mile long span was the highest railroad trestle in the world. 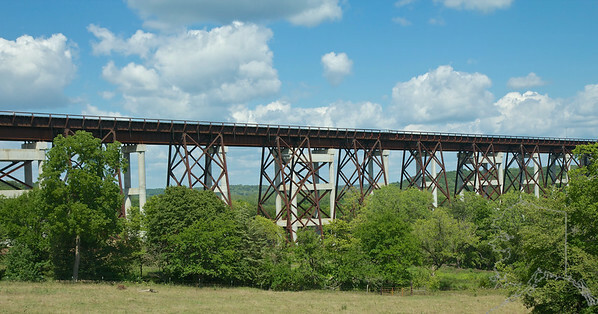 It's named after Kate Shelley, a 17-year-old girl who on July 6, 1881 crawled across the wooden original during a storm to warn an approaching passenger train that another trestle downtrack had been washed out. 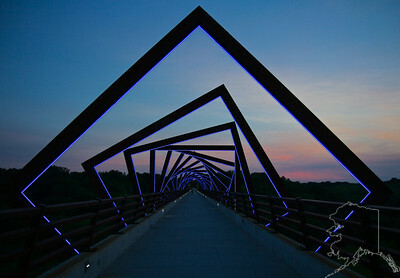 She crawled the span on hands and knees with only lightning for illumination. 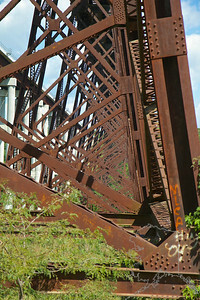 Once across, she ran a half-mile to the Moingona depot to sound the alarm.The railroad built a new steel bridge in 1900, and named it after her. 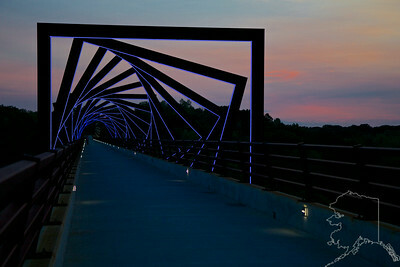 This is that Bridge. 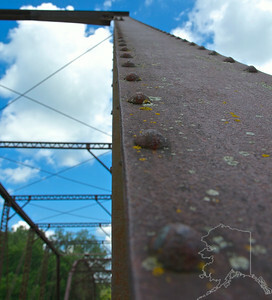 Original steel on one side and new concrete/steel on the other side. 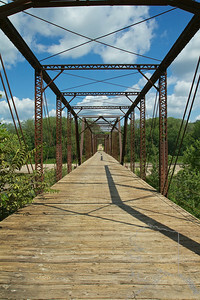 This bridge is a Pinned Pennsylvania through truss. 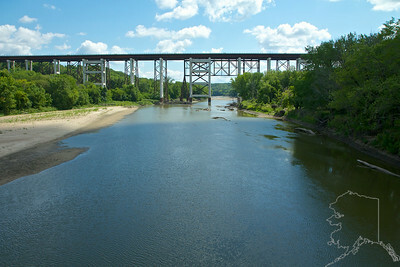 Its name is Wagon bridge or Bluff bridge. 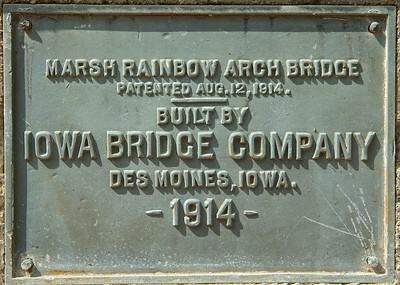 It was built in 1910. 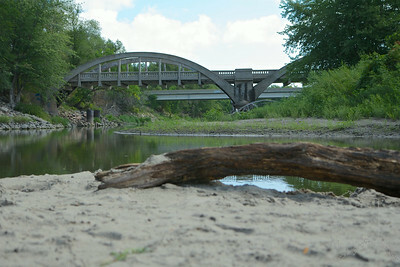 Sandstone cliffs and dense woodlands make Ledges State Park one of Iowa’s signature parks. 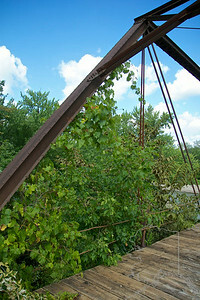 The wildlife and plant communities are interwoven with the human history of Ledges. 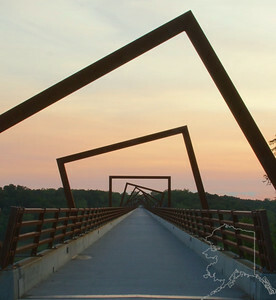 Humans have appreciated this unique area for thousands of years. 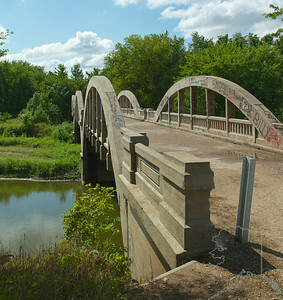 Archeological evidence found within the park dates to around 4,000 years ago. 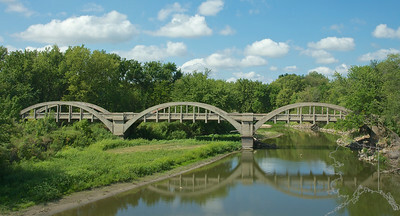 At the time of European settlement, the Ledges area was inhabited by the Sauk, Fox (now the Mesqwakie) and Sioux. 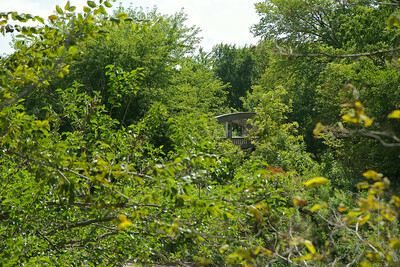 Native American mounds in the vicinity contain artifacts acting as silent reminders of the area's past inhabitants. 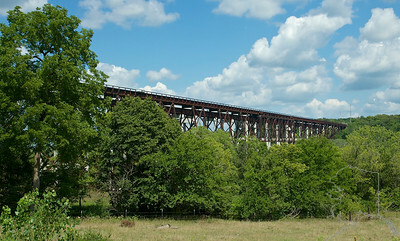 The beauty of the canyons and bluffs of Ledges very quickly became a major attraction to the growing local communities. 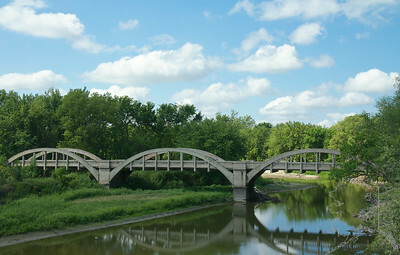 Ledges was proposed as a state park as early as 1914. 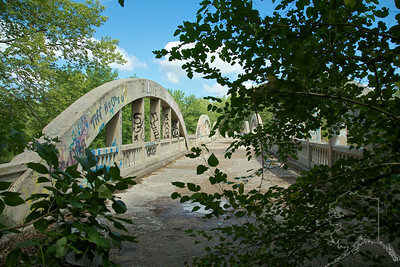 The first park custodian, Carl Fritz Henning, was appointed in 1921. 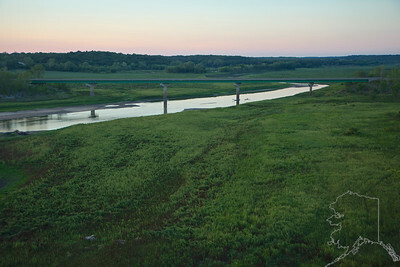 In 1924, the Ledges officially became one of Iowa's first state parks. 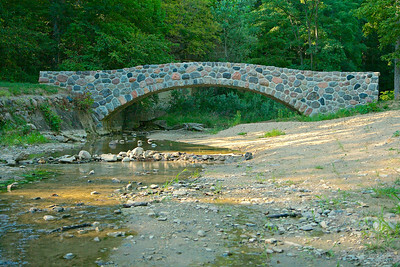 Park facilities constructed of native timber and field stone by the Civilian Conservation Corps (CCC) in the 1930's are still standing today. 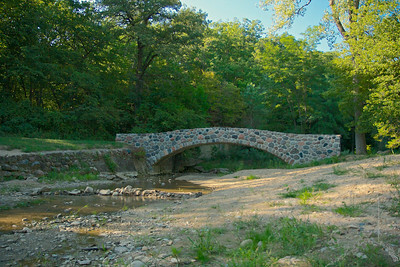 These examples of fine craftsmanship include an arch stone bridge, shelter in Oak Woods, stone trail steps and the stone shelter in lower Ledges. 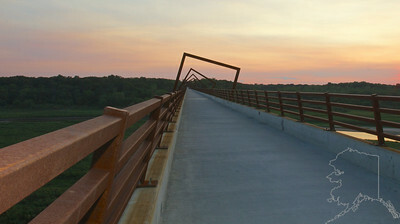 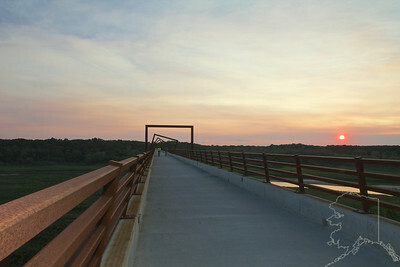 Highway bridge seen from the High Trestle Bridge in Iowa. 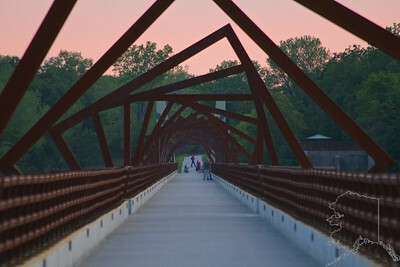 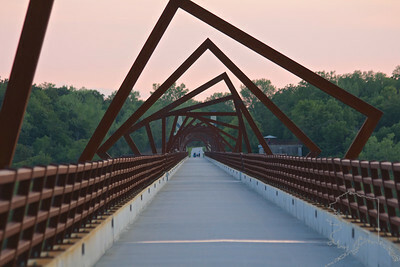 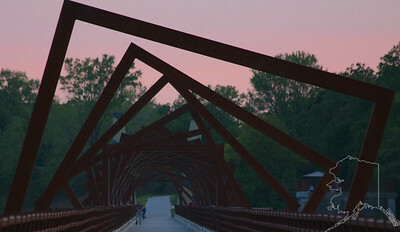 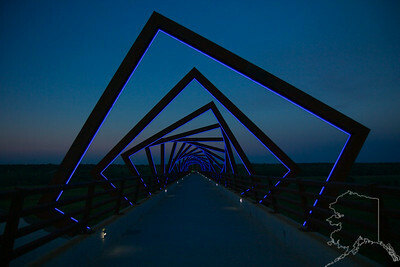 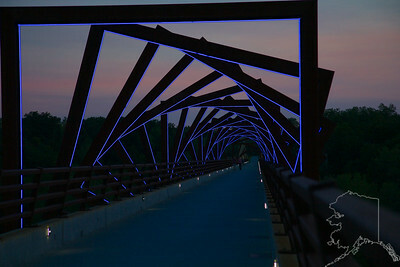 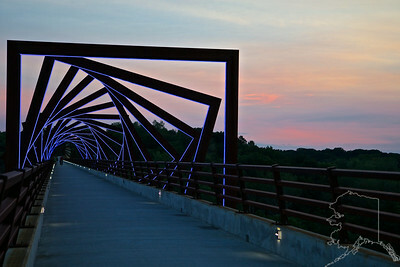 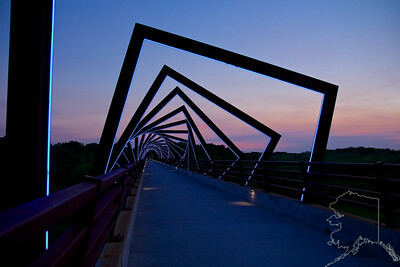 The High Trestle Bridge. 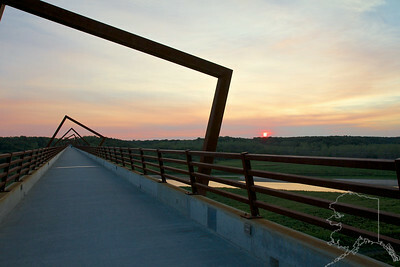 Ever since the grand opening on April 30, 2011 there has been a steady stream of people venturing out to enjoy the scenery. 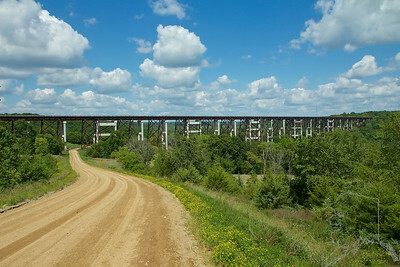 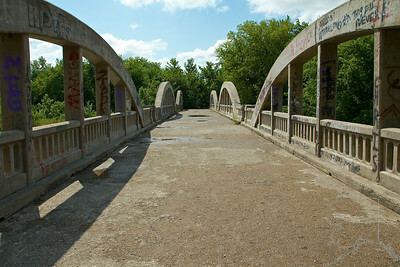 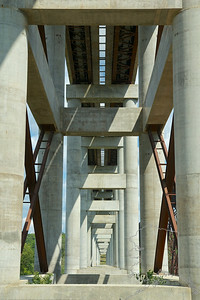 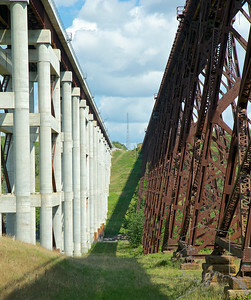 It is ½ mile long, 13-story high Bridge with views reaching 5 miles in both directions. 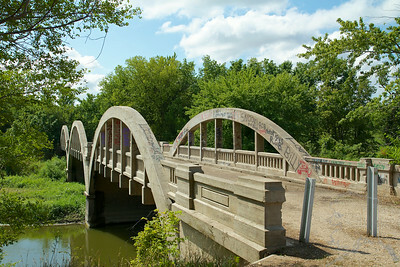 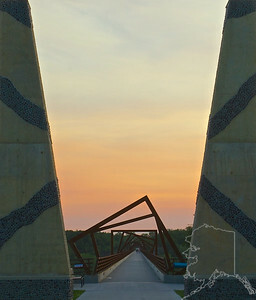 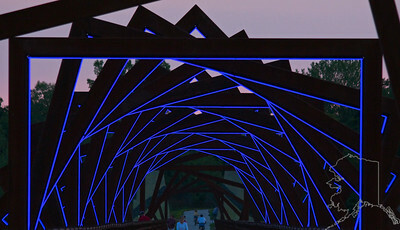 An Iowa artist, David B. Dahlquist, created a vision that weaved in the local coal mining history and regional geology. 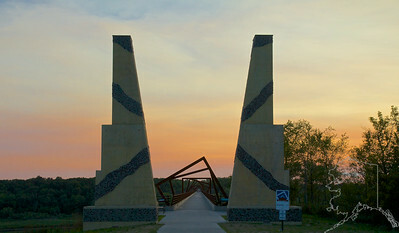 Steel “cribs” reminiscent of a coal mine shaft framed the bridge and four monolithic towers of “coal and limestone” formed a gateway. 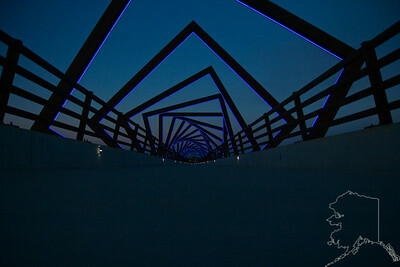 Lighting of the towers, cribs and piers became part of the plan as well. 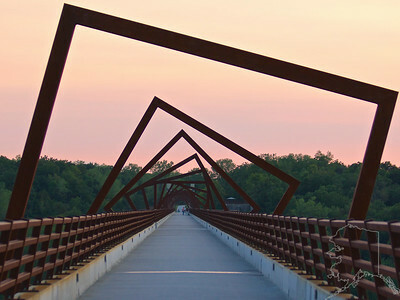 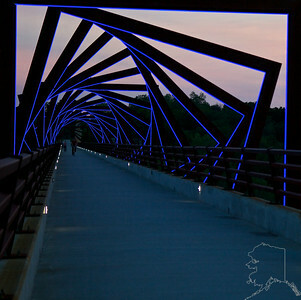 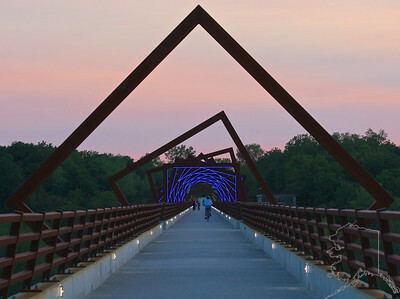 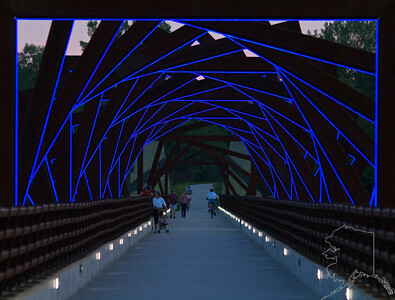 41 steel “frames” over the bridge represent support cribs within an historic coal mine. 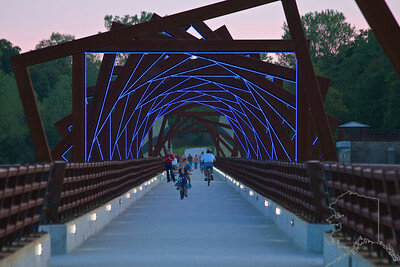 A must see if you are in Iowa.